Corsair updated its enthusiast-grade power supplies over the summer with the release of the AXi series. Touting an all-new digital signal processor and top-class performance in our battery of Chroma-run tests, the AXi are amongst the very best supplies on the market. High quality leads to a high street price, with the 860W model costing £170 and the 1,200W beastie a cool £240. 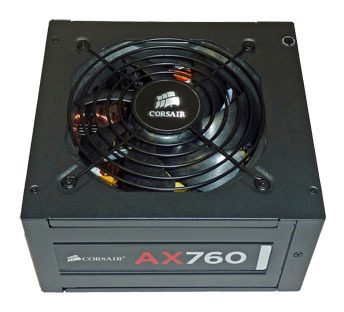 Riding on a wave of releasing numerous other power supplies during the same period, Corsair has also refreshed its PSU catalogue with new models on the second-rung AX (non-i) supplies. The AX860 and AX760 boast 80 PLUS Platinum efficiency and thus improve on the older-generation AX850 and AX750's Gold status, though both sets ship with fully-modular connectivity. And the new supplies continue Corsair's recent tradition of providing silent-fan operation at reasonable loads. So if the AX860/760 PSUs are manifestly better than the models they replace, why would a user opt for the premium 'i' variants, you might ask, especially as the standard supplies are over 10 per cent cheaper on a model-to-model basis? Well, for starters, the non-i supplies don't ship with the Corsair LINK interface, used to report a myriad of data from the PSU to an application on the PC. 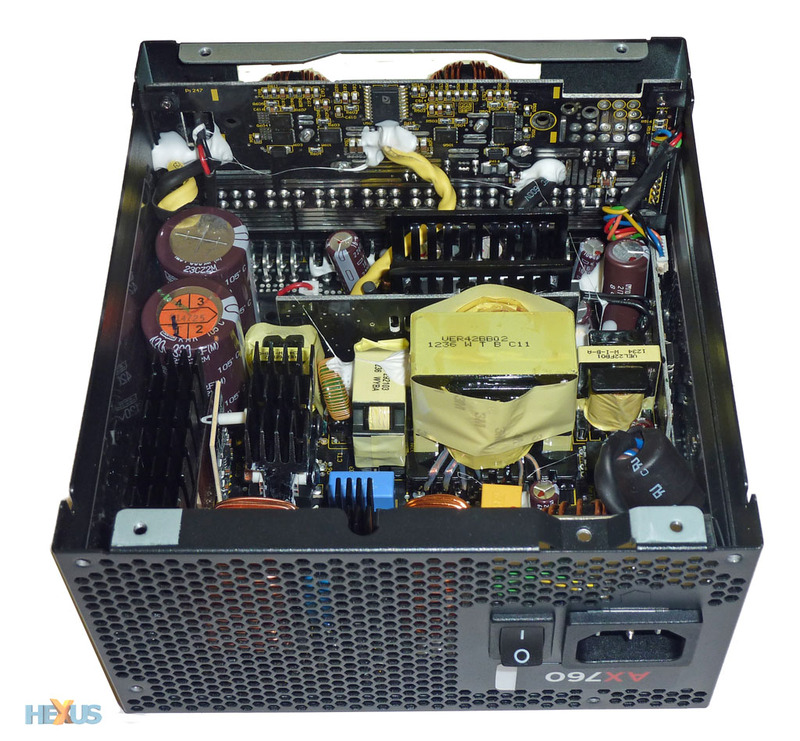 Think of the new AX PSUs as premium supplies that aren't imbued with all the latest cutting-edge technology; AXis have that base covered. We have the AX760 in for review today, currently retailing at £140 or so. 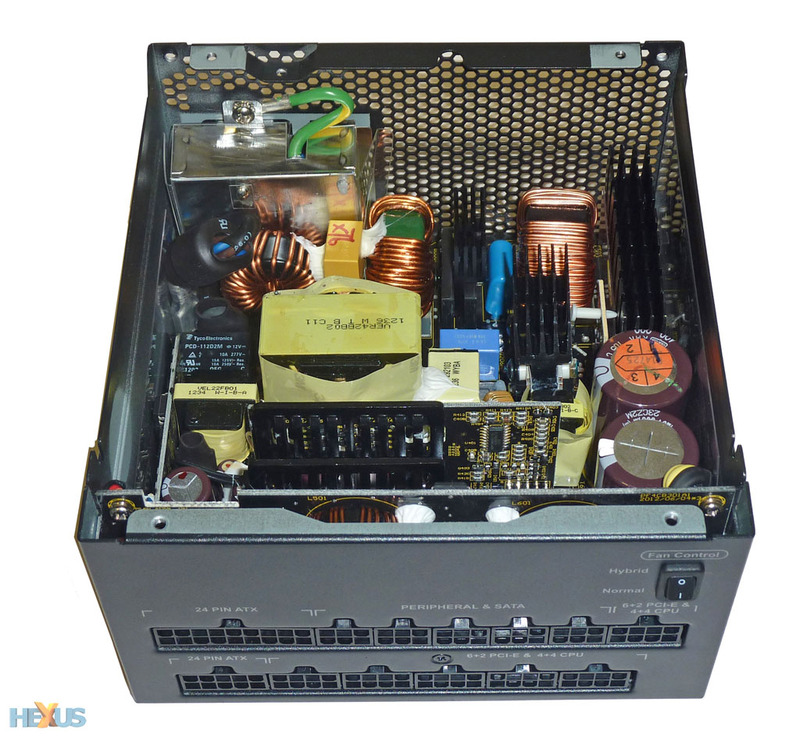 It's clear that AX760 supersedes the already-decent AX750 in almost every way, and we expect to see the Gold-rated model removed from listings as production eases off. The £140 retail pricing, while high on first glance, is competitive against other supplies with similar specifications. Indeed, it's one of the very few mainstream-wattage, fully-modular, Platinum-rated PSUs on the market. Though boasting impressive technical credentials, the AX760 continues Corsair's minimalist design thinking. The generation jump between AX750 and AX760 is more than a minor tweak on a specification sheet; the newer supply is equipped with the same 120mm fan but the AX760 supports hybrid-mode technology, where, according to Corsair, the fan remains switched off until load hits a staggering 70 per cent, or 530W, when operating at a room temperature of 25°C. Corsair is likely to be able to make such bold claims for the simple reason that a Platinum-rated supply produces considerably less heat - and requires less cooling - than lower-quality PSUs. Corsair has a switch that toggles the hybrid fan mode though we can't see many reasons why the user wouldn't want it to be engaged at all times. Overall construction is very good and the clean lines are helped by the fully-modular ensemble of connectors. The AX760 has 13 modular connectors, one fewer than the AX760i, but there's enough scope to power all but the craziest PCs. Cabling is generous and generally matches what's on offer from the i-series supplies, but this package misses out on the LINK cable for obvious reasons. We like six PCIe (6+2) cables, and 12 SATA and eight Molex are also decent. The peripheral cables are flat, aiding neat builds, and the main power cables are braided properly. You'll probably have come this far and assumed the AX760 is a simple derivation of the AX760i, sans the LINK interface and DSP controller. But it's the DSP, or lack thereof, which forces Corsair to use a completely different internal design. 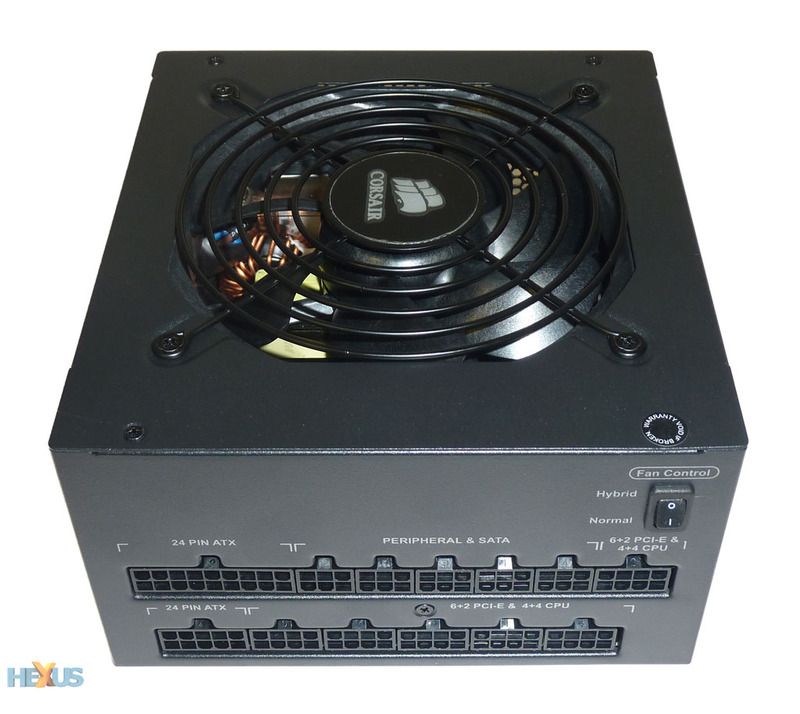 Whereas the 'i' use a Flextronics platform, Seasonic is the go-to partner here, and the firm's SS-760XP² bears genuine similarity to the Corsair model. Take a peek inside and layout, soldering and overall design are very good. Corsair ticks all the boxes for transient filtering - the first stage - and uses high-quality rectifying bridges, hold-up capacitors, and MOSFETs. The entire supply is basically one big producer of 12V, with the minor rails siphoning off their requirement through DC-to-DC conversion. We can spot no obvious flaws in the design; primary- and secondary-stage analysis reveals it to be a highly-competent platform. As expected, practically all of the supply's power can be shunted down the 12V line. In common with other high-end Corsair PSUs, this one can produce the stated numbers at a toasty ambient temperature of 50°C. Backed by the now-familiar seven-year warranty, the AX760, on paper, appears to be a decent proposition for users looking for high-quality power in a mainstream wattage.